The growing season if finally starting to take hold. I have seen corn plants poking through the ground, vegetable crops starting to look like something edible, and first cut hay is on the ground in some places with hopes of a dry day to bale tomorrow. And with a new growing season comes all the hope and suspense of another year…all the potential for the best year ever or the worst, or maybe something in between. Farmers are going all out this week. We may not be able to predict what the weather will do this year, but one thing is for certain. Farmers in Vermont are innovative. As I traveled from farm to farm today, I had the pleasure of talking with several different farmers – all of whom are trying something new this year. I saw fields of winter rye that were ‘planted green,’ that is no-till planted corn into standing rye before the cover crop was terminated. Innovation. I measured out 16 strips in a soon-to-be corn field with one farmer to help analyze two different reduced tillage systems this year. Innovation. He wants to interseed three different cover crops over those strips once the corn is up. Innovation. 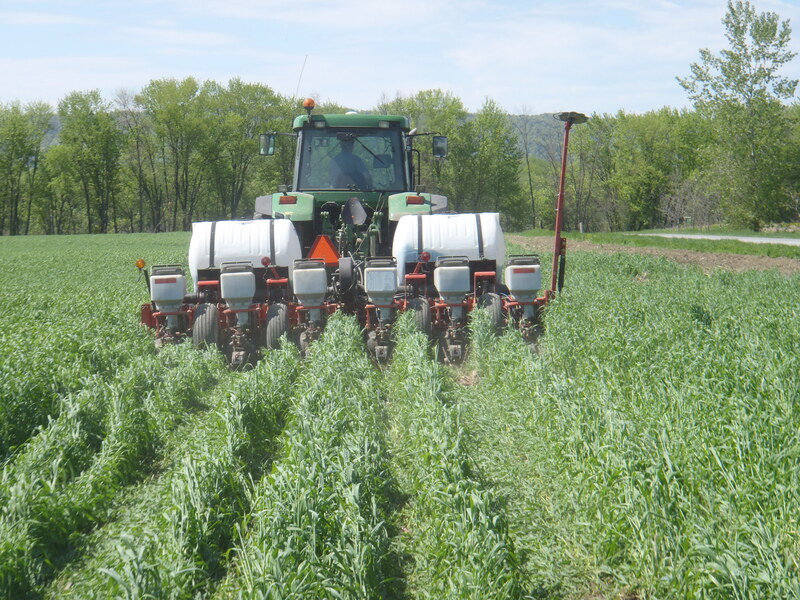 Another farm rounded out a SARE partnership project that analyzed two different cover crop mixes by no-till planting corn into those cover crops right next to a conventionally managed part of the field to see how these two systems will perform on his farm. Innovation. Another farm asked to borrow our GPS and try their hand at some precision agriculture. Innovation. 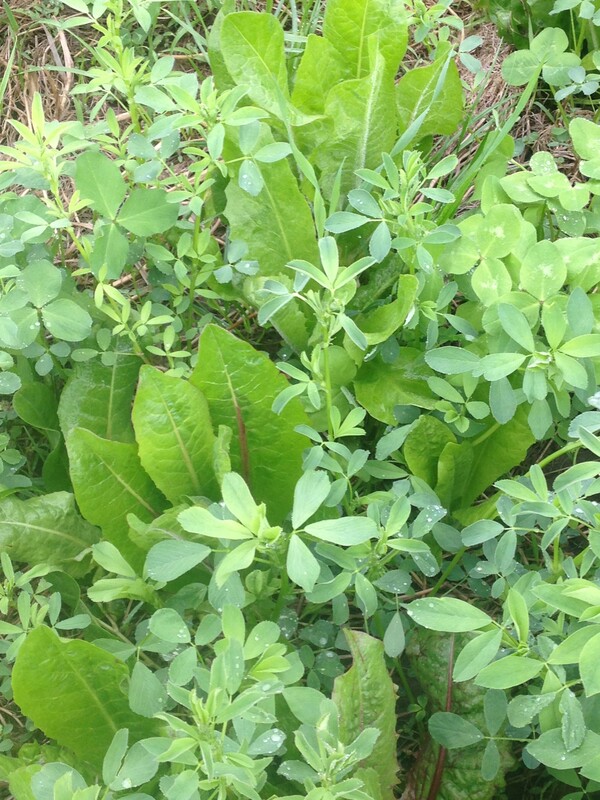 A vegetable farmer is trying out different strategies to implement cover crops in his rotations for green manure, weed suppression, mulch and livestock forage. Innovation. A soybean grower has just modified his corn planter so he can no-till soybeans in 30-inch rows and will be trying out higher populations and some interseeded cover crops in those same soybeans. Innovation. 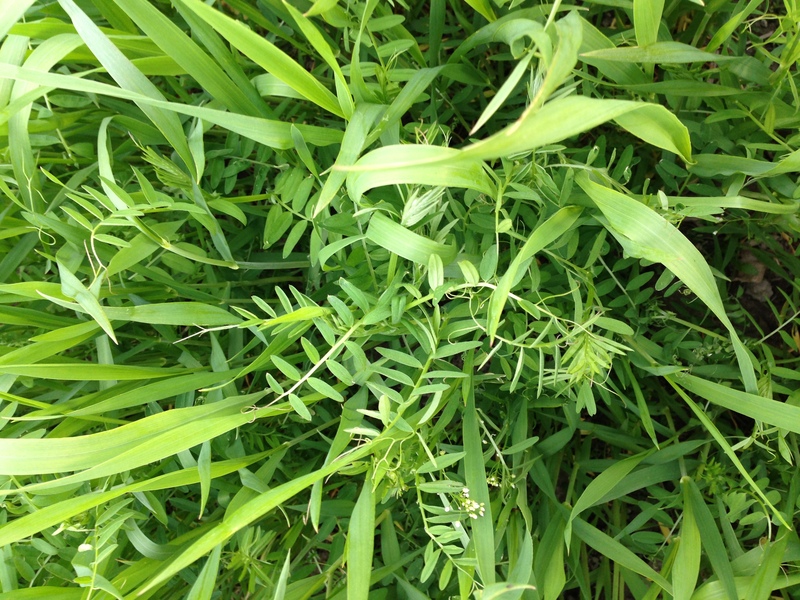 I talked to three farms who have agreed to partner on a cover crop mixture demonstration project and will be hosting field days on their farms to share the results. Innovation. 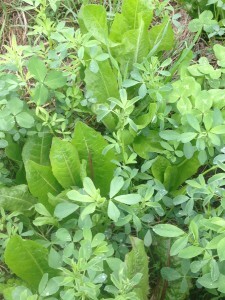 I have spoken with several farmers this week growing new crops like chicory, quinoa, and berseem clover. Innovation. 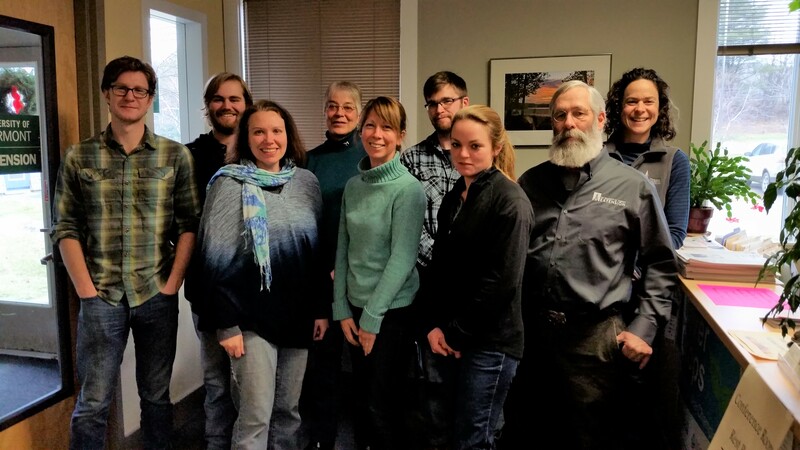 I emailed with a new member of the Champlain Valley Farmer Coalition who is excited to be part of a farmer-based watershed group looking to protect Lake Champlain and thriving agriculture in Vermont. Innovation. As you walk around your own farms, identify the many ways you are being innovative. As you drive down the road, what are your neighbor farmers doing to be innovative? If you see some fields this year that look a little different – instead of wondering if something went wrong, maybe its just another Vermont farmer trying something new. 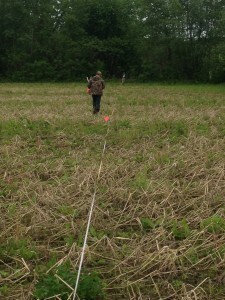 A grain grower marking out strips in a field to compare tillage practices. 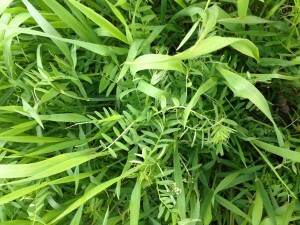 Winter rye with hairy vetch used for a green manure before vegetables and ear corn.